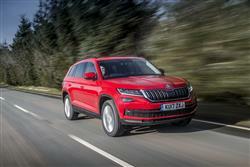 Skoda enters the mid-sized SUV segment with this Kodiaq, a model with class-leading passenger space, plenty of luxurious touches and the option of seven seats. 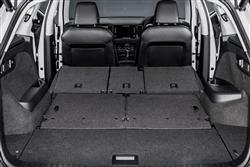 It can tow up to 2.5-tonnes and has the largest boot in the class too. In other words, you'd have to take this contender seriously. 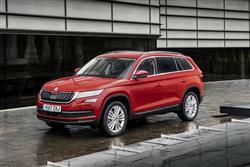 You'd certainly think there was a place for Skoda in the segment for larger family-sized SUVs. 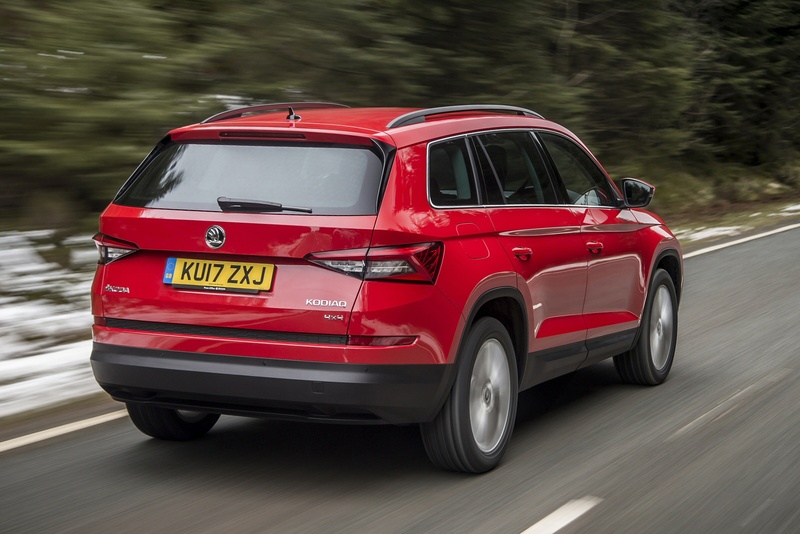 The brand's smaller Yeti model has, after all, proved hugely popular amongst buyers interested in more compact versions of this kind of car, establishing a presence in the segment that the Czech brand can now build upon by utilising the same MQB platform that Volkswagen's Tiguan and SEAT's Ateca already sit upon in this segment. 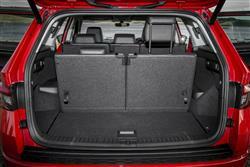 The Kodiaq though, is longer and more spacious than both of those two models, even though it's still very affordably priced. 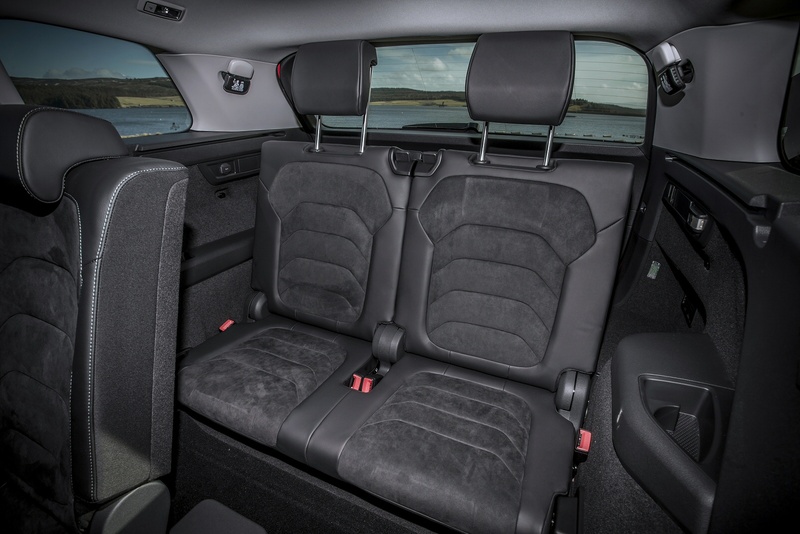 Plus, unlike its Volkswagen and SEAT cousins, it offers the option of seven seats, the first time that such a thing has been available from any kind of Skoda. Add in efficient engines, lots of clever design touches and up-to-the-minute media connectivity and a strong package is in prospect. The mainstream Kodiaq engine range is built around three TDI diesel units and a further trio of TSI petrol powerplants. 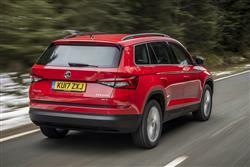 Most will want the 2.0-litre TDI unit, offered with either 115, 150 or 190PS, with the pokier version able to accelerate this large SUV to 62mph in 8.6s on the way to 130mph. The range of petrol engines consists of two 1.4 TSI units, plus a 2.0 TSI powerplant. The entry-level 1.4 TSI generates 125PS and 200Nm of torque, while the pokier 1.4 option manages 150PS and 250Nm of pulling power. The top-of-the-range 2.0 TSI petrol engine develops 180PS with a decent 320Nm of torque. It'll be a rare choice though. Possibly of more interest than the engines on offer will be the freshly-developed 7-speed dual-clutch auto gearbox, an option to the standard 6-speed manual with some variants. An optional 'Driving Mode Select' system enables the driver to tweak throttle response, steering feel and auto gearshift timings, plus on 4x4 versions there's a 'Snow' setting that optimises things for off road use. Front wheel drive is mandatory on base petrol and diesel Kodiaqs and optional on the 1.4 TSI 150PS or 2.0 TDI 150PS derivatives. Most will want 4WD though and you have to have it on top petrol and diesel units that must also be coupled with the auto transmission. 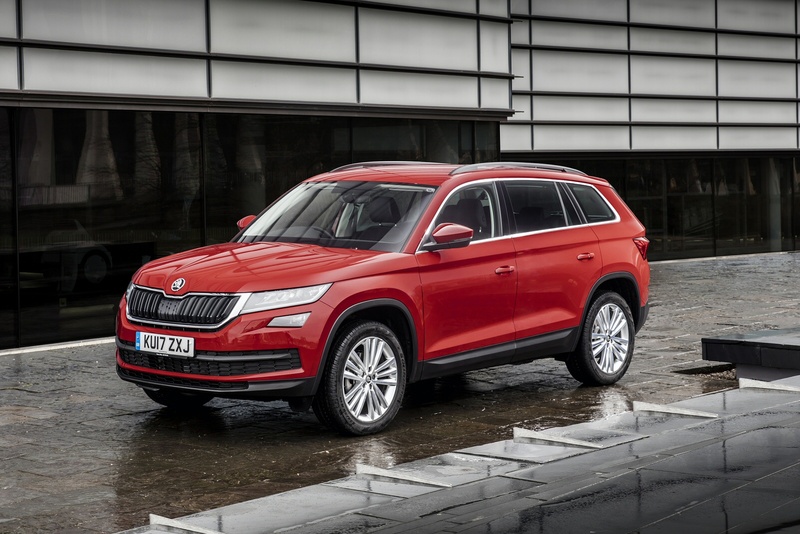 The Kodiaq's styling conforms to the way you'd expect a big Skoda SUV to look, with a clear, precise and clean-cut shape marked out by a distinctive, highly recessed shoulder line. The wide, three-dimensional radiator grille is quite striking and the narrow, raked headlights look distinctive appearance. The Kodiaq is one of the biggest VW Group models to be spun off the conglomerate's MQB platform. It's around 4.7m in length and the long wheelbase and short overhangs point to a large interior. That's certainly what you get once you take a seat inside. 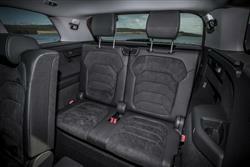 This is a much bigger SUV than the brand's Yeti, which ample room for heads, legs and knees. 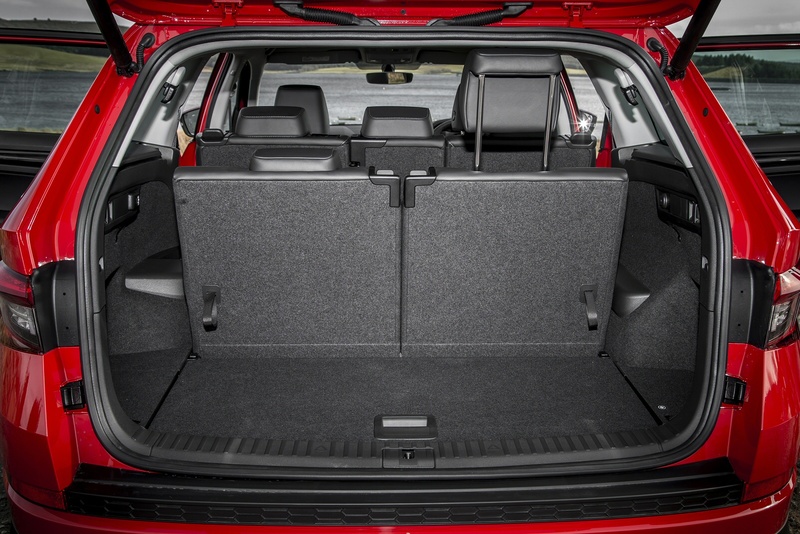 The boot's huge too, large enough in fact to accommodate the optional fold-out third seating row that rival Volkswagen Tiguan and SEAT Ateca SUVs can't offer. If you stick with the five-seat variant, there's a 720-litre cargo area, extendable to 2,065-litres once you fold the rear bench. 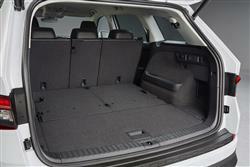 If the optional folding passenger seat is chosen, this SUV can transport items up to 2.80m long. 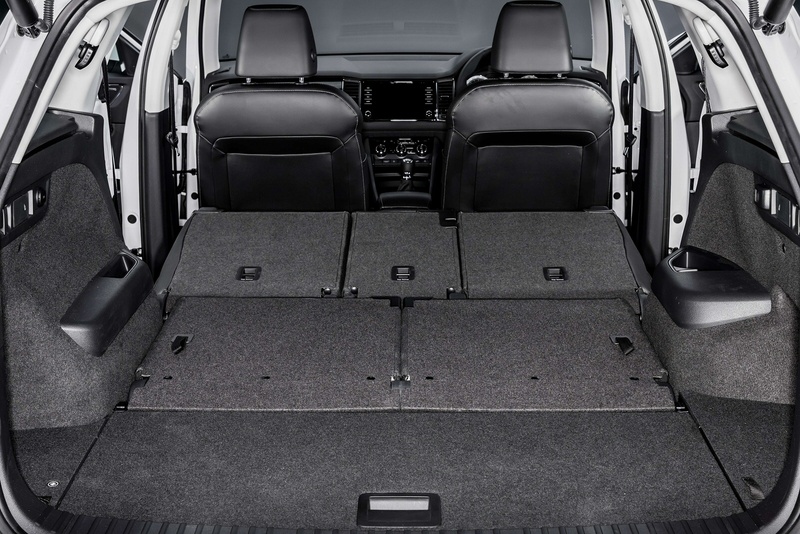 An electrically operated tailgate is available, and a Kodiaq fitted with the TDI/DSG/4x4 drivetrain can tow a trailer weighing up to 2.5-tonnes. It's all very practical. Prices start from under £22,000 for a base petrol variant but if you want 4WD or almost any kind of diesel, you're going to be spending in the £25,000 to £30,000 bracket. That's about the same kind of money you'd need for obvious family SUV rivals that offer a 7-seat options, cars like Kia's Sorento, Hyundai's Santa Fe and Mitsubishi's Outlander. If you've more to spend, there's a more overtly SUV-orientated 'Scout' model, priced from just over £32,000. Even on models lower in the line-up, equipment levels are quite generous. Entry-level variants get Skoda's 'Swing' infotainment system with its 6.5-inch screen. It can be supplemented with a smartphone Bluetooth connection and the 'Skoda SmartLink' set-up. 'SmartLink' supports the use of Apple CarPlay, Android Auto and MirrorLink in the car. For connecting in your smartphone. When the customer connects their phone to the USB port, the relevant setting is shown on the infotainment display. 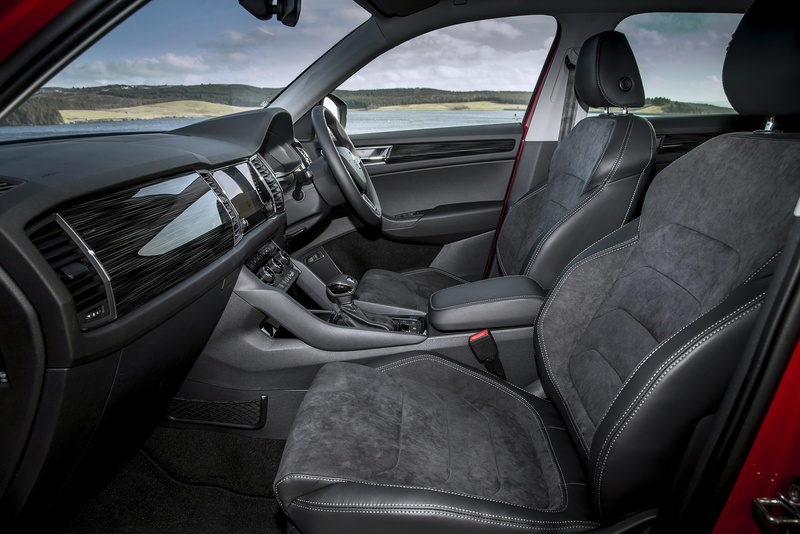 There's also the opportunity of specifying a 'Skoda Connect' package that gives you various online services, remote access to your car via a downloadable app and a 'Care Connect' system that provides emergency assistance. As for safety, well a 'Front Assist including City Emergency Brake' system is standard, using a radar to scan the road ahead for potential accident hazards as you drive. Adaptive Cruise Control, a 'Driver Alert' system to combat fatigue and a 'Traffic Jam Assist' system are all optional. Family-sized SUVs used to be thirsty things, but things have had to improve a lot as this market segment has become more popular. 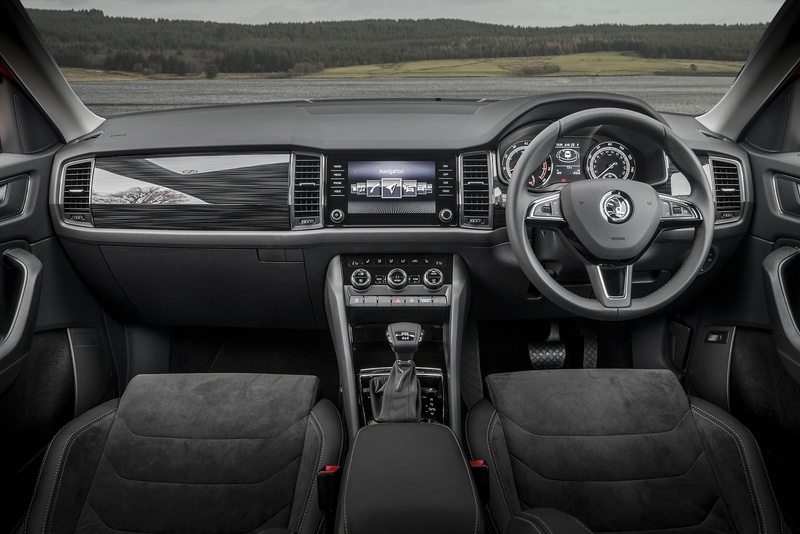 The efficiency performance of this Kodiaq illustrates that very well. All the diesel and petrol engines on offer here feature turbocharged direct injection and fulfil EU6 emission standards. As you'd expect, all the powerplants feature a Stop-Start system, brake energy recovery and a powerful thermo-management set-up, contributing to low consumption. As a result, the 2.0 TDI 150PS model manages 56.5mpg on the combined cycle and 131g/km of CO2. The 1.4 TSI 125PS variant manages 47.1mpg and 140g/km. The 1.4 TSI 150PS petrol unit uses the VW Group's 'ACT' (or 'Active Cylinder Technology') system that shuts down the second and third cylinders when the load and engine speed are low. The top-of-the-range 2.0 TSI petrol engine can't match that kind of cleverness, but it does feature a new combustion process for high efficiency. 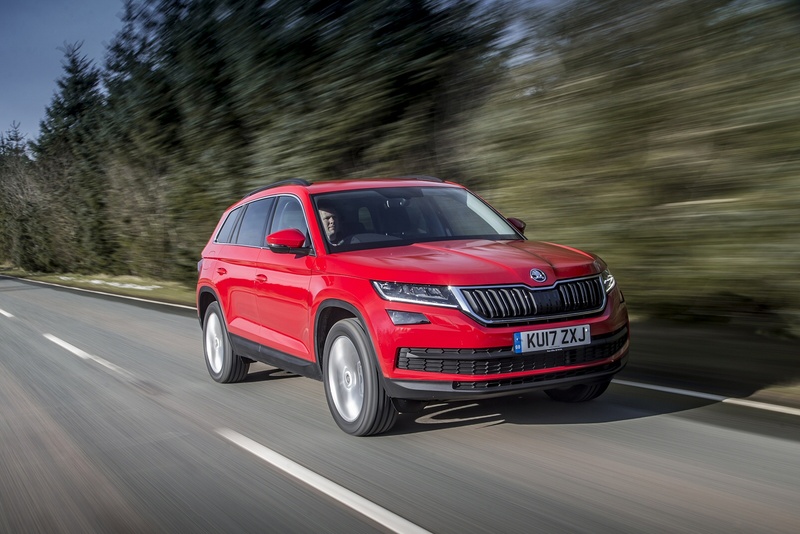 All the usual measures are in place to improve frugality, including an 'Eco' mode on the new 7-speed auto gearbox that allows the Kodiaq to coast at speeds above 12mph when the driver takes their foot off the accelerator. The all-wheel drive set-up is optimised for efficiency too, using a control system that when in overrun or at low load, directs drive via the front axle, which saves fuel. 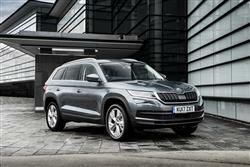 If you�re looking for a new SKODA Kodiaq 1.5 TSI SE 4x4 5dr DSG Petrol Estate for sale, you�ve come to the right place. At Bristol Street Motors we don�t just have the best SKODA Kodiaq 1.5 TSI SE 4x4 5dr DSG Petrol Estate deals, we also offer friendly advice and help with all your enquiries to ensure your buying experience is a happy experience.